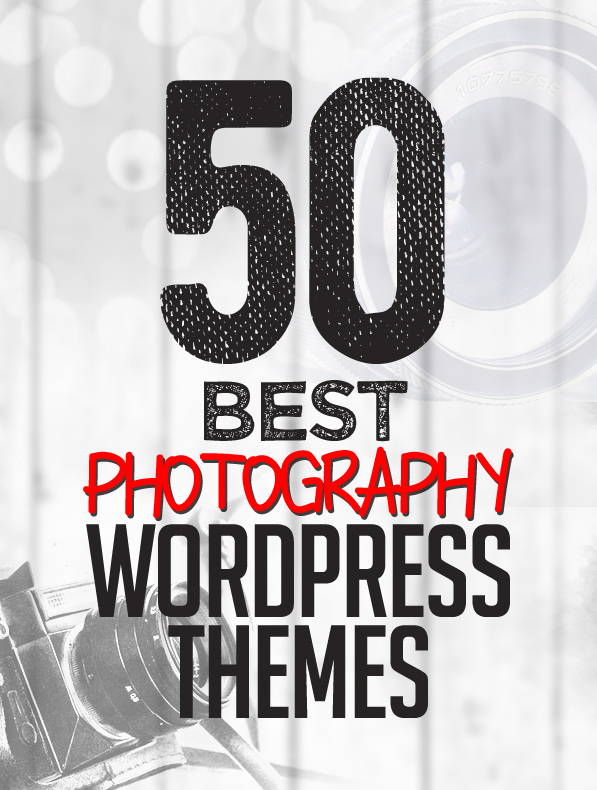 Top and best professionally designed Photography WordPress Themes for photographers, artists and personal photo portfolio studio. All themes have amazing photo gallery options for showcasing your photos professionally. All themes are fully responsive. perfectly scalable, performance and SEO optimized, retina-ready, multi-functional photography WordPress themes. 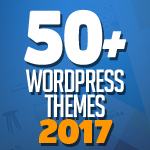 WordPress themes are very code-light, making it quick to load, and has a pleasingly clean look that’s ideal for wedding, portfolio or professional photography websites. Best WordPress themes are fully integrated with the visual composer. Code is easy to modify and understand so you can personalize it in the easiest way. Lydia is a flat and responsive WordPress Theme with a clean and professional design which will be a great solution for your business, portfolio, blog or any other purpose website. Lydia was built with awesome Twitter Bootstrap v3 and it loads of page builder elements pages with unlimited color options. Since it is responsive, the layout will adapt to different screen sizes which will make your website be compatible with any device such as smart phones, tablets or desktop computers. 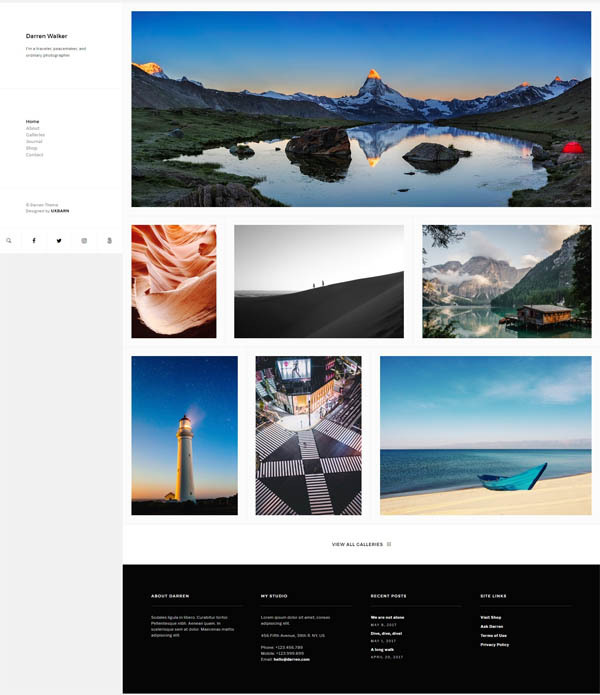 Pure is a modern and clean WordPress theme designed for Portfolio, Creative, Photography, Landing, Agency or Multipurpose. It comes with a powerful but user-frendly Theme Options Panel and a Visual Layout Builder so that you can create pages in minutes without dealing with code. And is fully responsive! 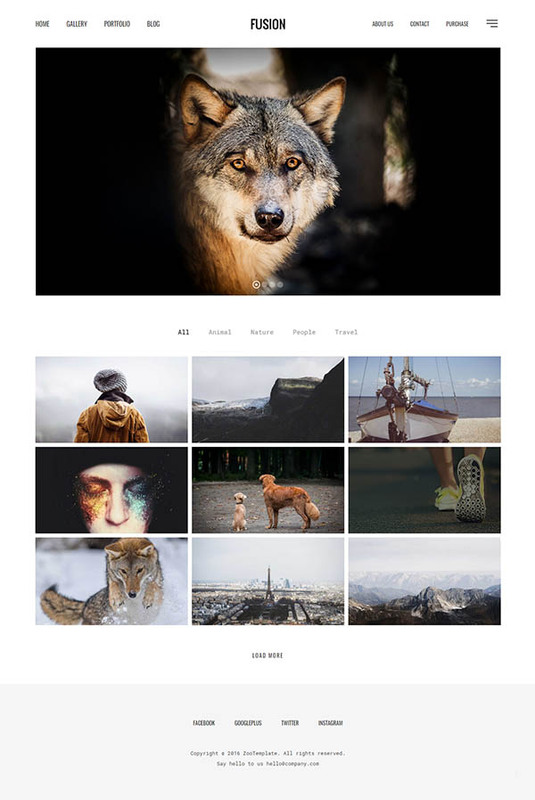 UROK is a Multipurpose WordPress Theme built with HTML5 & CSS3. It is perfect for photography, creative,portfolio, corporate, agency and business web sites. Rush is a compilation of UI elements, styles and ready-to-use solutions for website development suitable for the most relevant kinds such as landing pages, blogs, one-page websites, corporative sites, portfolio, photography, marketing pages, startups, shops. Page builder is also included into the package. Definity is clean and minimal, multipurpose one page & multi page HTML5 template, its 100% responsive and its build with Bootstrap 3 framework and SCSS. It follows the latest web design trends and offers lots of options to chose from. Comes with 20+ demos to chose. Its suitable for any business especially: creative agency, freelancer, personal portfolio, resume, photography, fashion, wedding, shop etc. 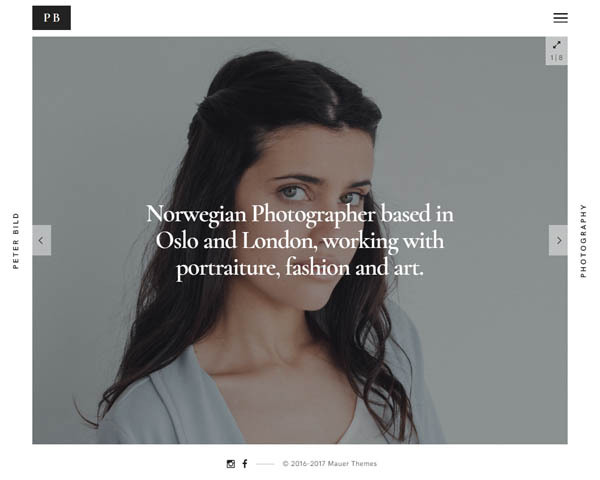 Suitable WordPress theme for photographers, visual artists or any other creative individuals who wish to present their photography portfolio in a shiny and elegant way. 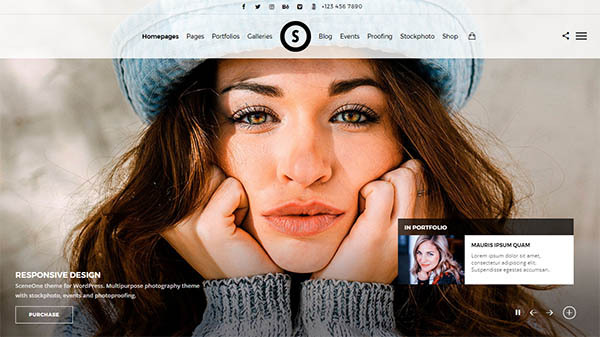 Synthesis is a stylish and highly customization photography WordPress theme with flexible responsive, retina ready layout and eye-catching design. Numerous features which are available in the theme will help you to build the fully functionality photographer’s website. The most accurate definition for this theme is only one – a work of art! 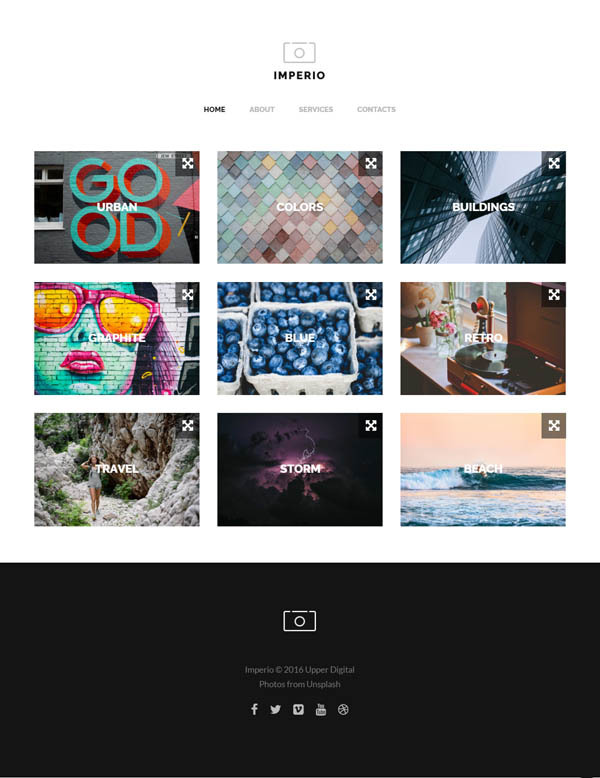 Darren is a photography theme that delivers functionality and design in a straightforward way. With its simplicity, you can effortlessly upload your works then they will display right on the website. Beautifully. 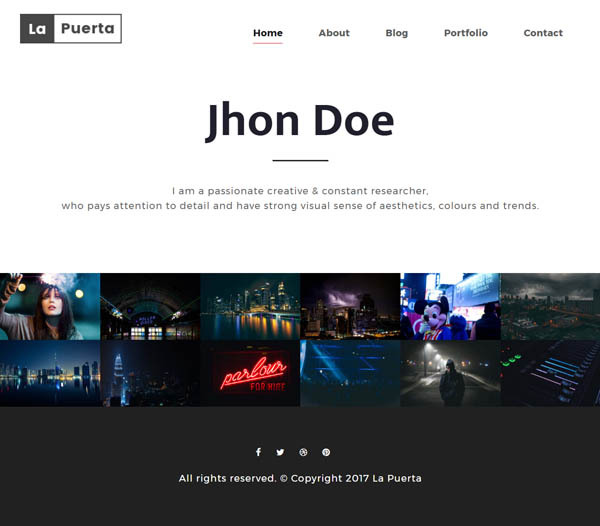 La Puerta is a WordPress theme that suits for any portfolio and built for agency, designers, photographers, illustrators, freelancer and all creative businesses. It is built with Bootstrap 3 and Visual composer has various styles of page elements. 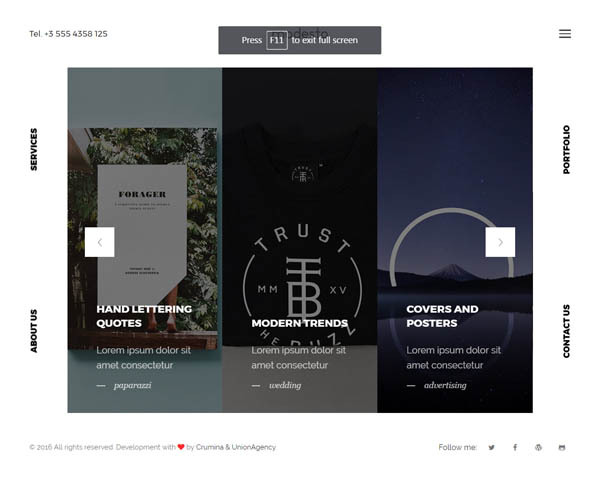 Reigns is a Responsive WordPress, simple, clean and Professional One Page Theme. It comes with Corporate, Business, Creative, Gym, Photography and Restaurant pages, Awesome Slideshows and many More Features. Easy-to-customize and fully featured design. Create Outstanding Website in Minutes! Wedding Service WordPress Theme , is a perfect theme for any business or event related with Wedding or Marriage. One can easily setup a complete website within few click for his business related to wedding or marriage celebration. 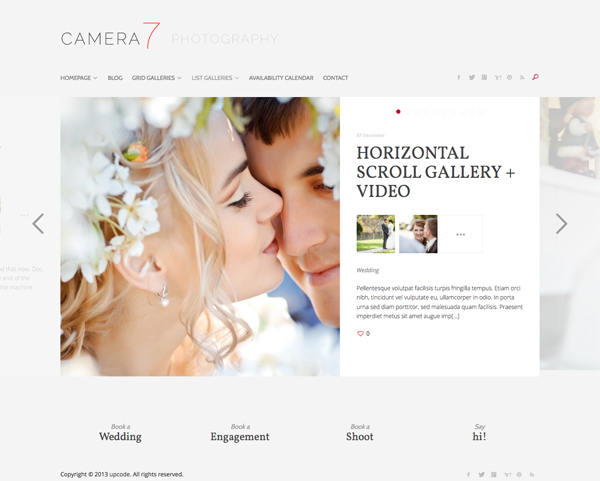 Djs, photography, catering , limousine, bridal makeup, bride and groom dress based business website can be easily setup with this WordPress Theme. 19. Allience – Minimal Portfolio WordPress Theme. 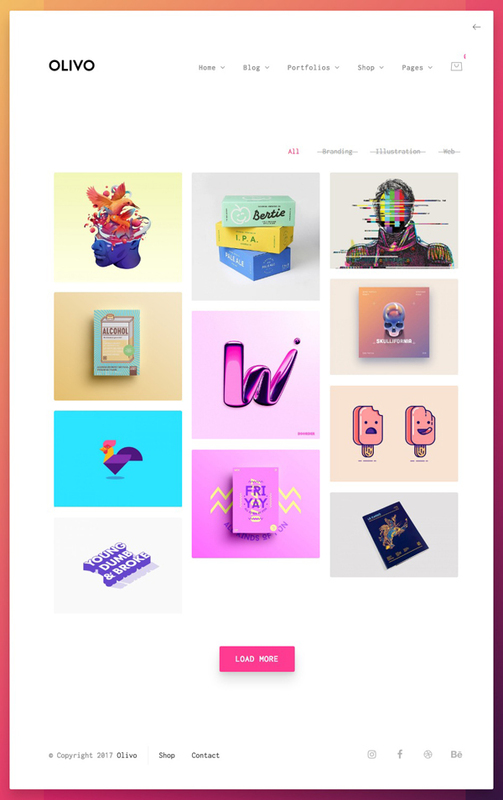 Allience Minimal Portfolio WordPress Theme is a High-Quality Modern Creative Portfolio WordPress Theme. It’s a neat and clean code and modern WordPress theme for them who wants to make a personal website to showcase their personal profile. Allience is very suitable for minimal portfolios, agencies, freelancers, photography, corporate and much more. It will provide you the greatest as well as smoothest experience while creating your website with our Allience theme. 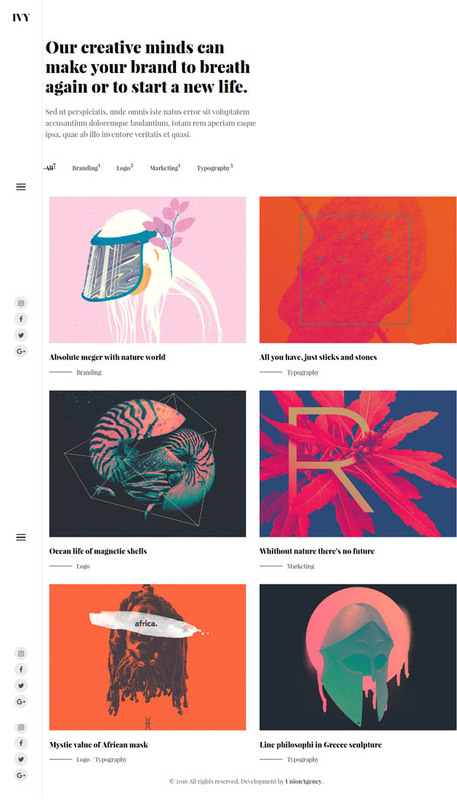 Robusta is a dynamic, fast responsive Magazine & Blog WordPress theme. It is suitable for wide-range of magazine/blog niches such as personal blog, fashion, photography, travel , sports, news, Magazine etc. It has colorfull and clear look and built with following latest design trends and using advanced development frameworks. The theme builds on widgetized homepage with a lot of widgets with many style and 3 Sections. Which means you can build your homepage content by drag & drop modules into sections so you can combine unlimited style. Sewell is designed and developed from ground level with the purpose of helping you to create a breathtaking and perfect user friendly photography website. This theme is predominantly crafted with attention to detail by perfectionists. The RedArt WordPress theme is great for any portfolio, Photography, personal or creative presentation website. We have created a perfect art theme for artisans, designers, collectors, photographers, creators and makers. Responsive, Multiple blog layouts, Unique single page styles, service page and effective timeline display, unique full screen slider and showcase your artworks in a fascinating portfolio designs. The theme packed with a lot of useful features, powerful backend, shortcodes and options that offer the best solution for any niche. It comes with Visual composer the #1 drag and drop page builder, so its easy to create and customise your website. 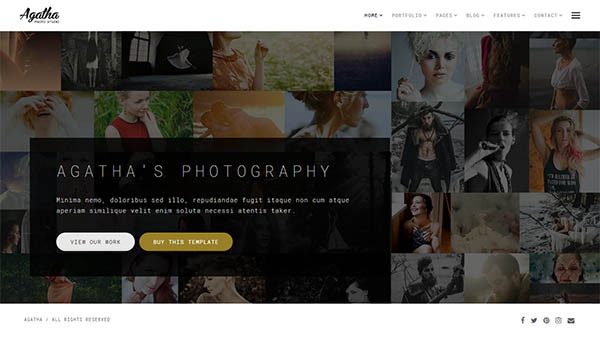 Photographer WordPress Theme – Agatha is a Photography Portfolio WordPress Theme built with HTML5 & CSS3. 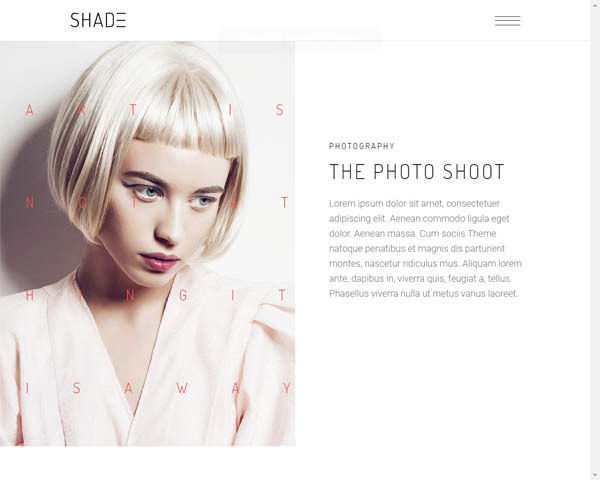 It is perfect for photography,photographer,agency and multipurpose websites.Taking the specific features which is explained comprehesively in the documentation below into consideration,be sure that you are on the right place. This is an HTML template not a WordPress theme. Please make sure you need the HTML version before purchasing. We can’t be held responsible for wrong purchases, we won’t be providing any refunds for purchases by mistake. 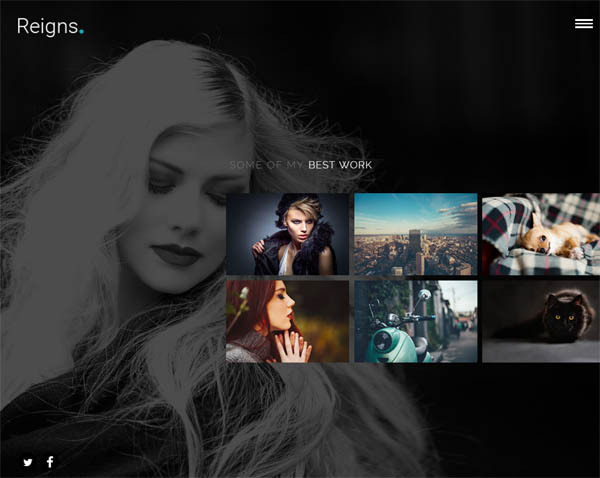 Iron Network presents fully-responsive photography portfolio WordPress theme for professional photographers, art studios, and galleries to make an impact online. 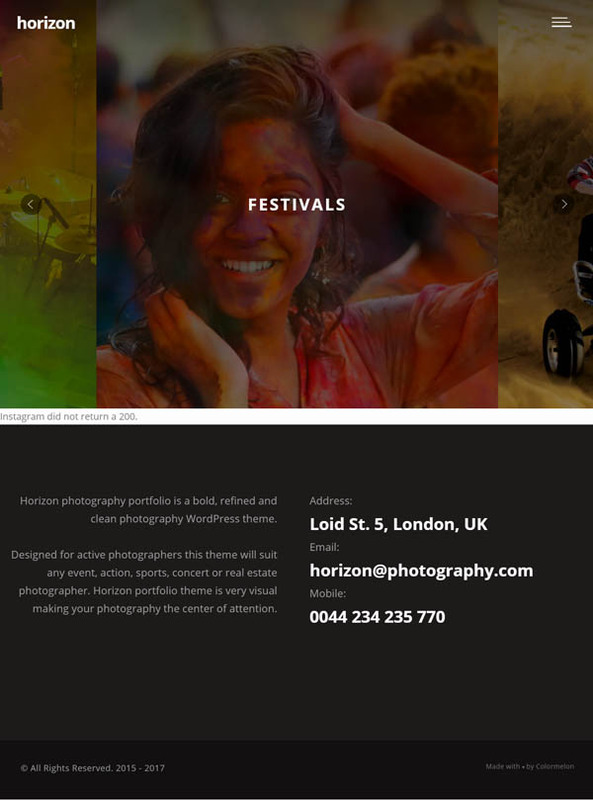 This highest rating premium theme for your online photography portfolio will not only increase followers but also generate project assignments by making the best impression. This responsive photography theme from Iron Network is 100% mobile friendly and has been built on WordPress, HTML5/CSS3, PHP and jQuery. 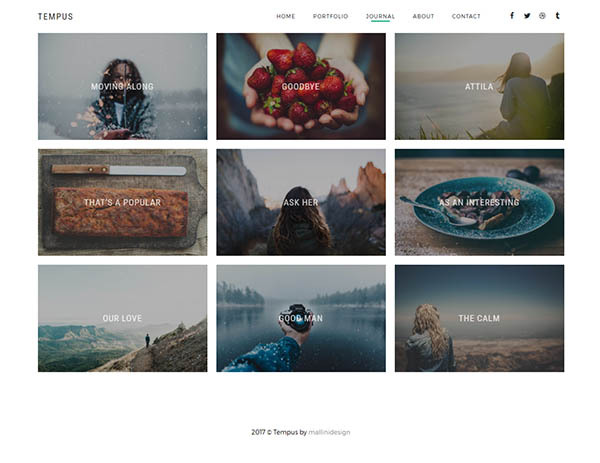 Dynamic easy to use templates, power capabilities, and demo installation makes this WordPress photography portfolio theme the highest rated in the portfolio theme category. 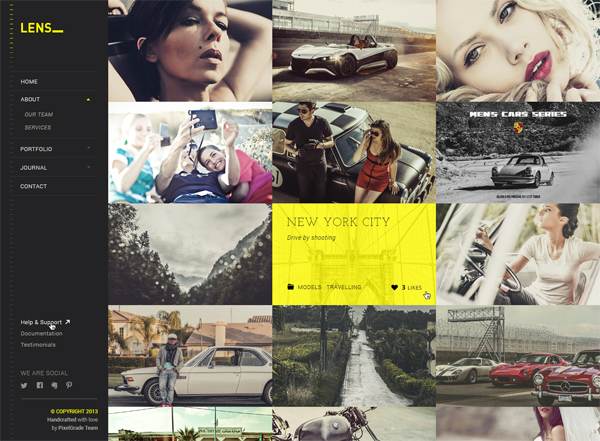 PhotoHall is a responsive photography blogger theme. It’s the best choice for your blog if you are a photographer. You can use it to show your inspiration and creativity and abilities for capturing photos and use it as your awesome portfolio. website analysis. 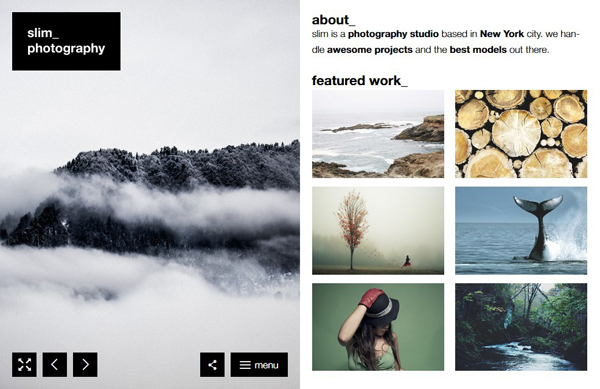 Modesto is minimal & creative wordpress theme which is suit for agency, portfolio & photographers. The design is modern & unique also perfectly organized, so you can easily changes its content. This template can also can be used for digital agency, freelancer, designer, studio, corporate website etc. Theme is fully responsive and easily customizable. Higher-place is a Multi-Purpose WordPress Blog / Magazine Theme with luxury design options and friendly features that use easy whether you are beginer. WHITE Minimal Portfolio WordPress Theme is a High Quality Modern Creative Portfolio WordPress Theme.Smart can be used for many purposes starting from minimal portfolios, agencies, freelancers, photography, corporate and much more. Vermont is a dynamic, fast responsive Magazine & Blog WordPress theme. It is suitable for wide-range of magazine/blog niches such as personal blog, fashion, photography, travel , sports, news, Magazine etc. It has colorfull and clear look and built with following latest design trends and using advanced development frameworks. The theme builds on widgetized homepage with a lot of widgets with many style and 3 Sections. Which means you can build your homepage content by drag & drop modules into sections so you can combine unlimited style. The theme very easy setup and customizable.